I was thinking about how to spring-ify my favorite cookies. 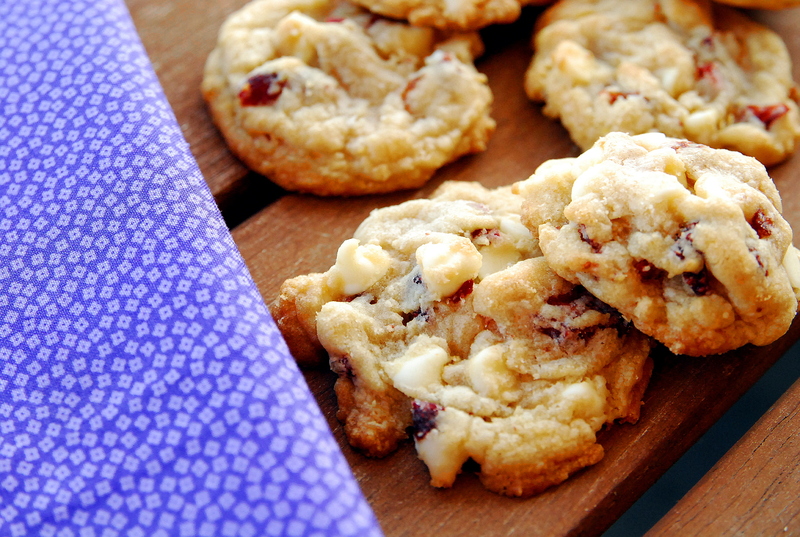 I have a great cookie base that I use for my chocolate chip caramel pretzel cookies, but I needed something for a spring teacher luncheon. I pawed through my pantry, determined to find some mystery ingredients to spring it up and — voila — dried strawberries! I give these to my kids in place of fruit snacks and they loooooooove them. They still have some added sugar, so are not exactly healthy, but they’re better than actual fruit snacks. 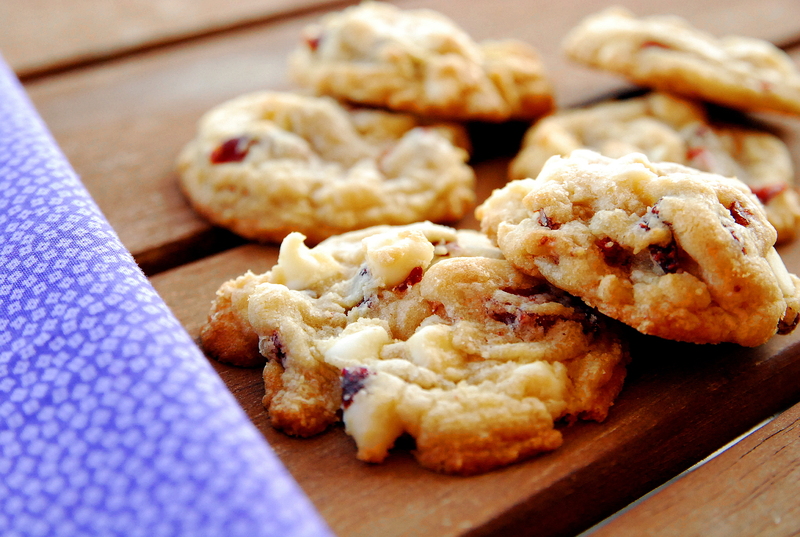 Pairing them with white chocolate added a decadence to the cookie that I loved. These would be perfect for any spring occasion! p.s. I found the dried strawberries at Super Target, with all the other dried fruits and raisins. Chop them well; these are better with a little strawberry in every bite! In a stand mixer, cream butter with sugars. Add vanilla and egg and mix until combined. In a separate bowl, combine salt, baking soda and flour. Gradually add to wet mixture. Mix until combined. Fold in chopped strawberries and chocolate chips. Chill for at least an hour. Spoon by rounded tablespoonfulls onto a baking sheet with parchment paper or silpat liners. Bake at 350 for 10-12 minutes.